The low-cost airline has announced that it is to reduce the number of flights out of Stansted airport by 9% over the next 12 months. The airline’s chief executive, Michael O’Leary has been all bluster about fighting fees at Stansted for many moons, but now it seems he has actually come good on his word: the carrier will accept 1.1 million fewer passengers from the airport this year. Ryanair says that the reduction in capacity will result in the loss of around 1,000 jobs at the airport – a blow considering that there had been plans to increase the number of flights by 5%. Instead, 170 flights across 43 routes will no longer happen every week because of fees that have risen 6% at the airport. 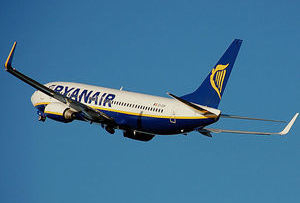 A spokesman for Ryanair, Robin Kiely, said: ‘It’s bad enough that Ferrovial/BAA has doubled prices over the past six years and presided over record traffic falls at Stansted, but it appears that the CAA now rewards the commercial failure by allowing Ferrovial/BAA to again raise fees in 2013 to compensate for its traffic declines in 2012. What he’s referring to at the end there is the purchase of Stansted last year by Manchester Airports Group for a massive £1.5bn. The new owners really ought to take notice of Ryanair’s move, considering that around 70% of all flights at Stansted are Ryanair’s. Where - or whether - Ryanair is proposing to move the flights to is an unknown. O’Leary could just be using it as a bargaining tool, hoping to get a better deal once he has shown Stansted’s new owners that he is serious about the cuts. There could also be a touch of sour grapes here, as Ryanair had expressed an interested in buying Stansted, but didn’t get its way on that either.